Asperger Syndrome: Complete Handbook is the definitive handbook for anyone affected by Asperger's syndrome (AS). It brings together a wealth of information on all aspects of the syndrome for children through to adults. Drawing on case studies and personal accounts from author's extensive clinical experience, and from his correspondence with individuals with AS, this book is both authoritative and extremely accessible. 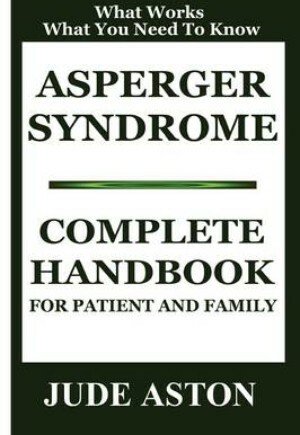 Chapters examine: causes and indications of the syndrome; the diagnosis and its effect on the individual; theory of mind; the perception of emotions in self and others; social interaction, including friendships; long-term relationships; teasing, bullying and mental health issues; the effect of AS on language and cognitive abilities, sensory sensitivity, movement and co-ordination skills; and career development. There is also an invaluable frequently asked questions chapter and a section listing useful resources for anyone wishing to find further information on a particular aspect of AS, as well as literature and educational tools.